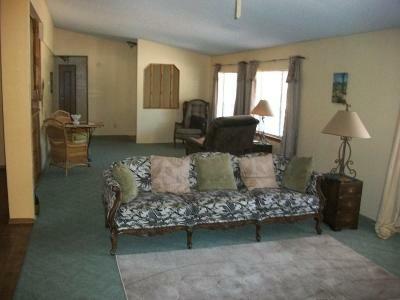 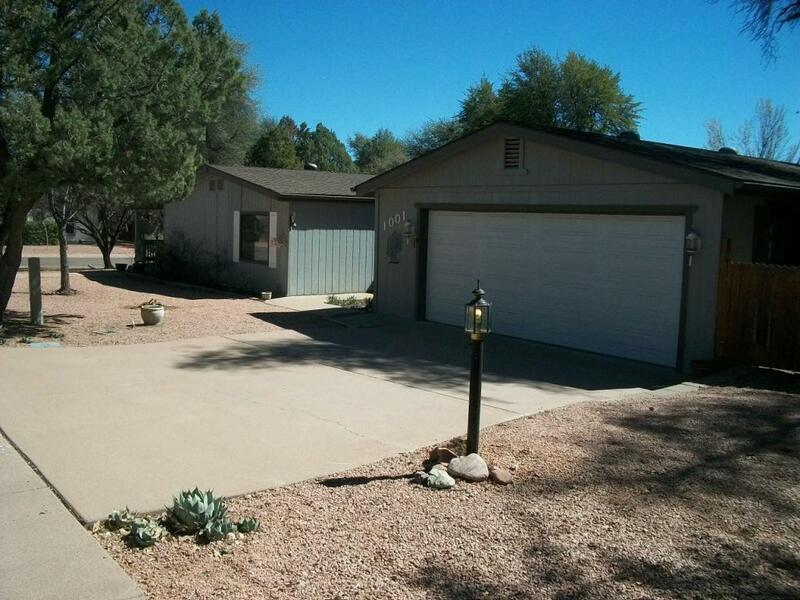 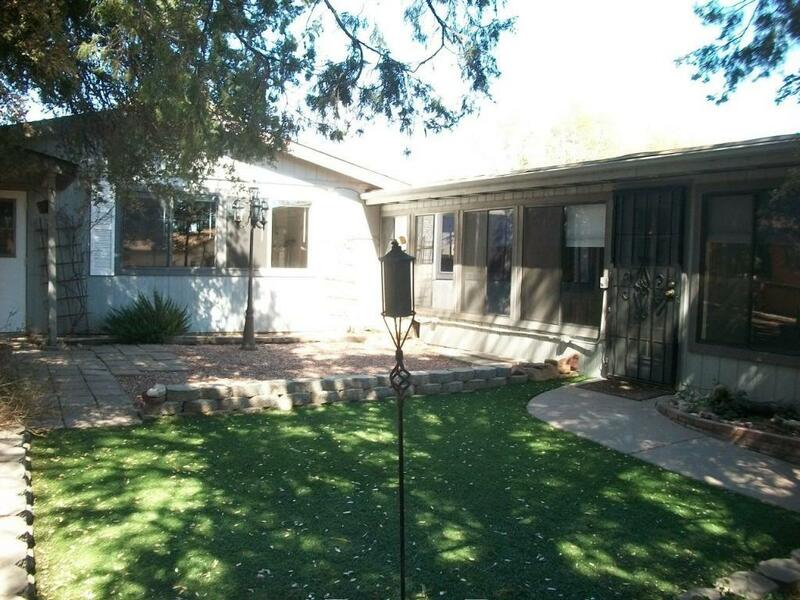 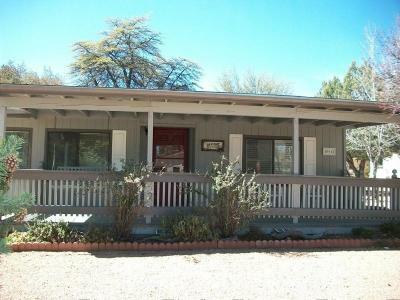 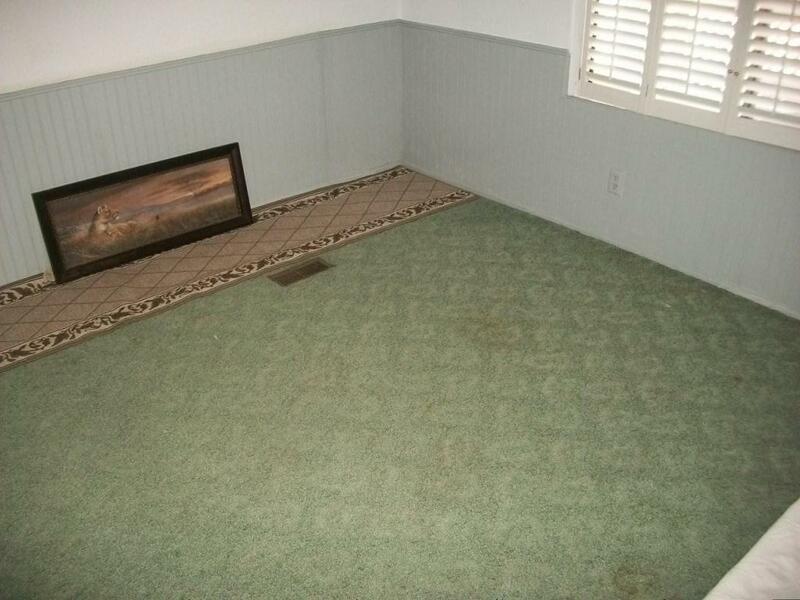 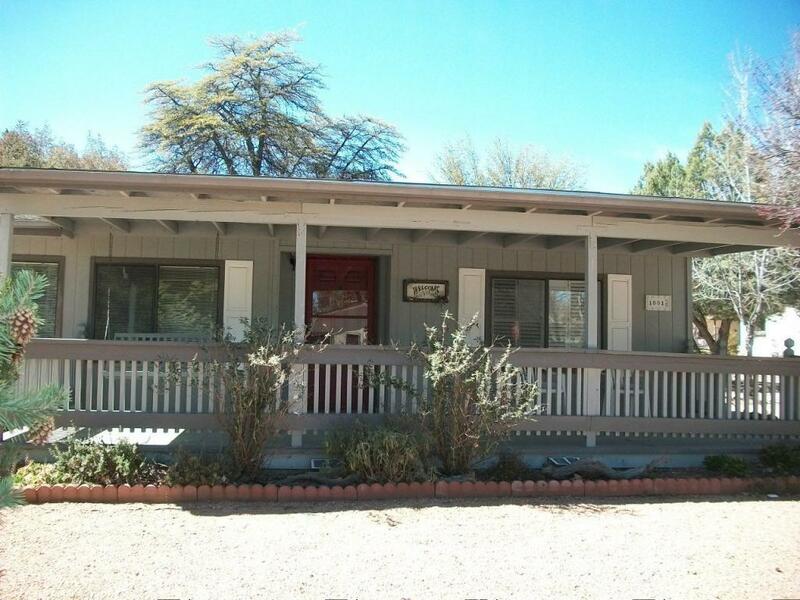 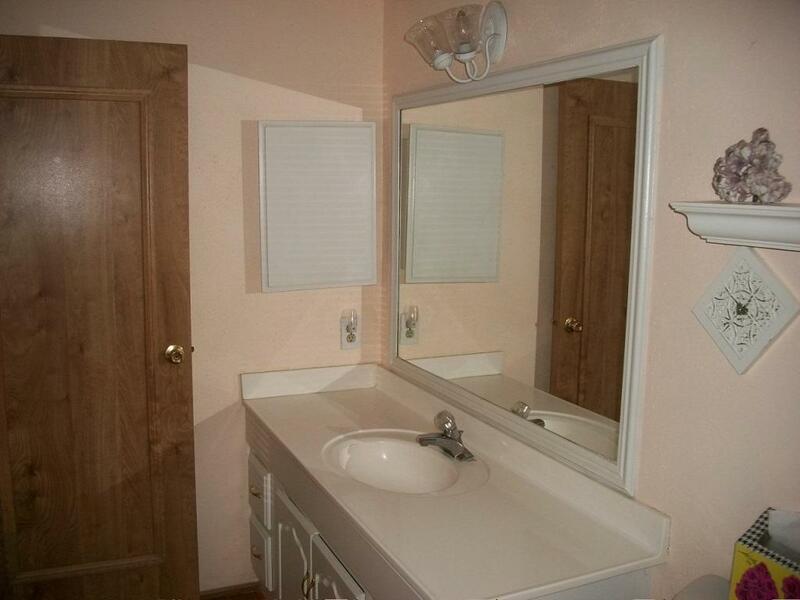 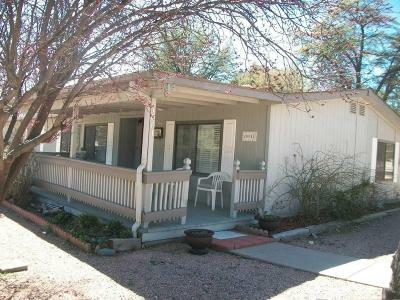 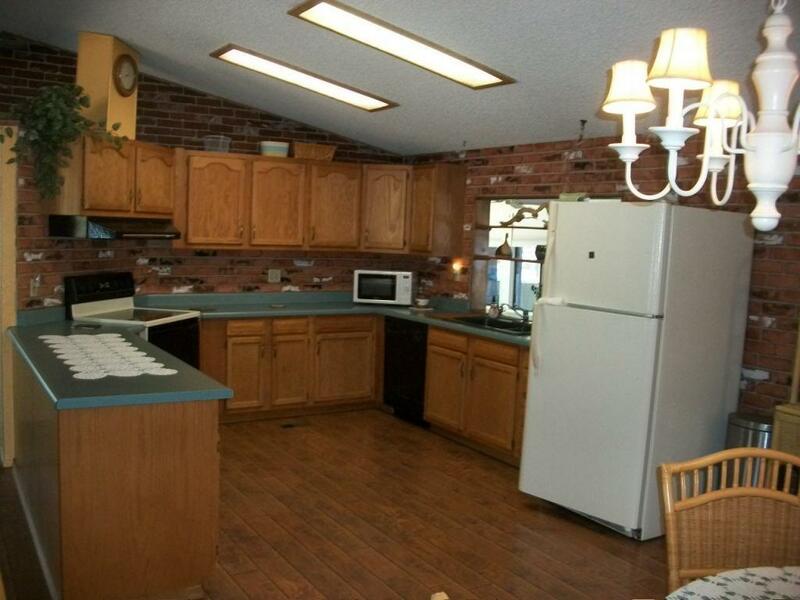 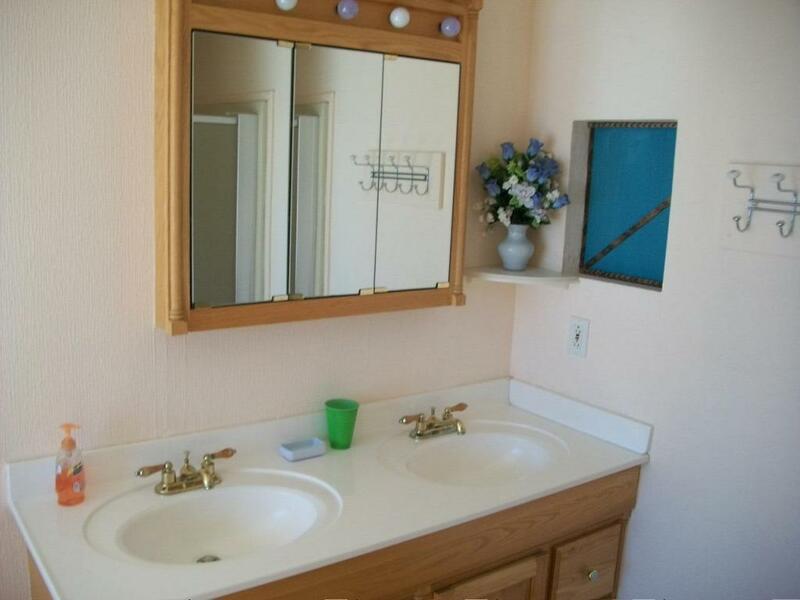 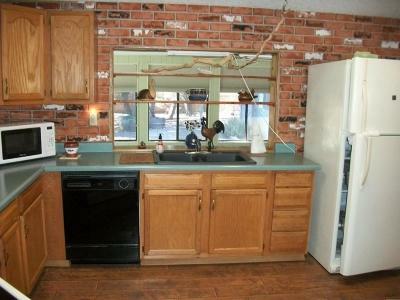 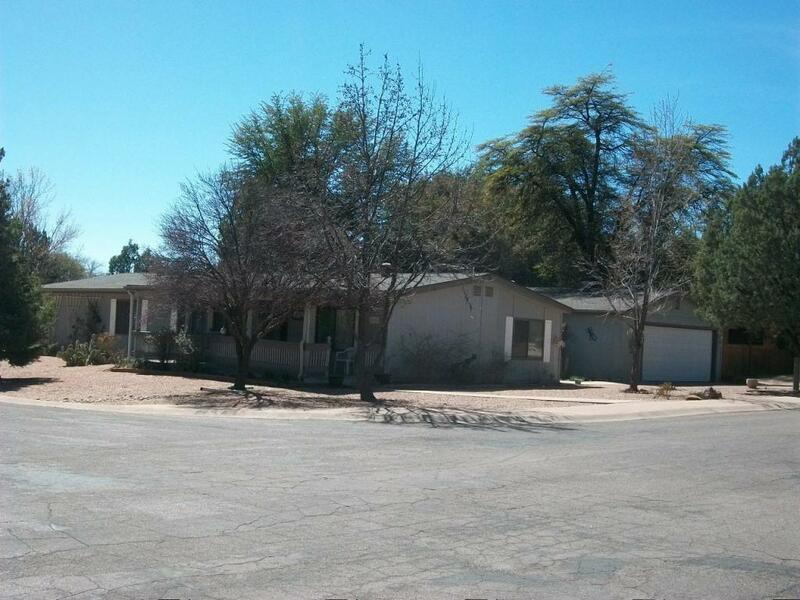 THIS PROPERTY BOASTS OF A CORNER DOUBLE LOT EXTERIOR NICELY LANDSCAPED. 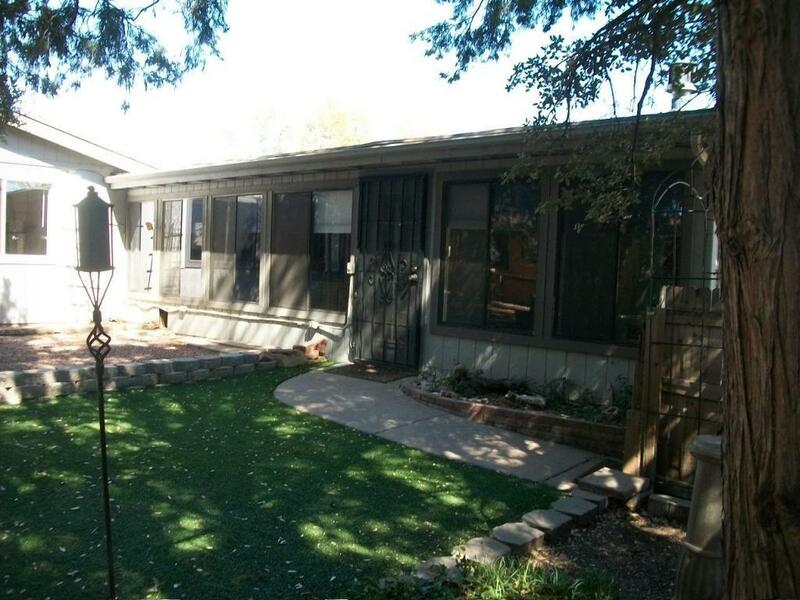 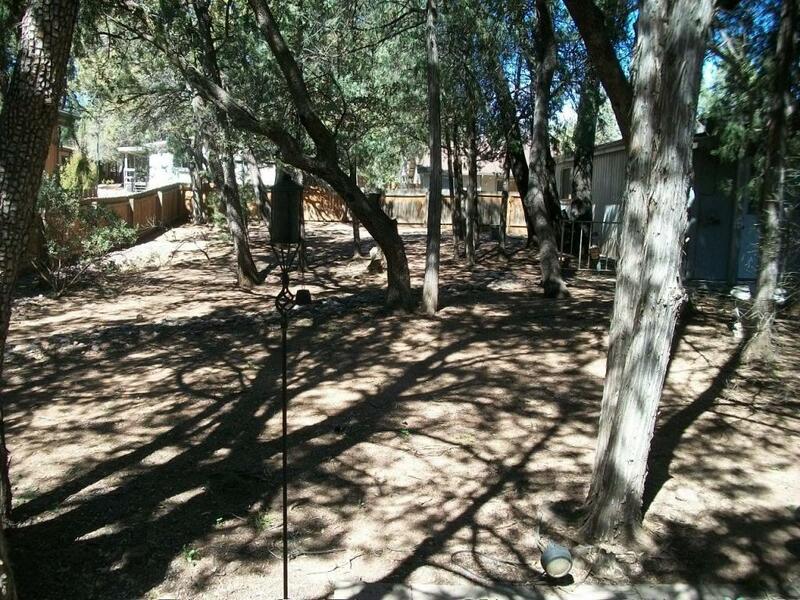 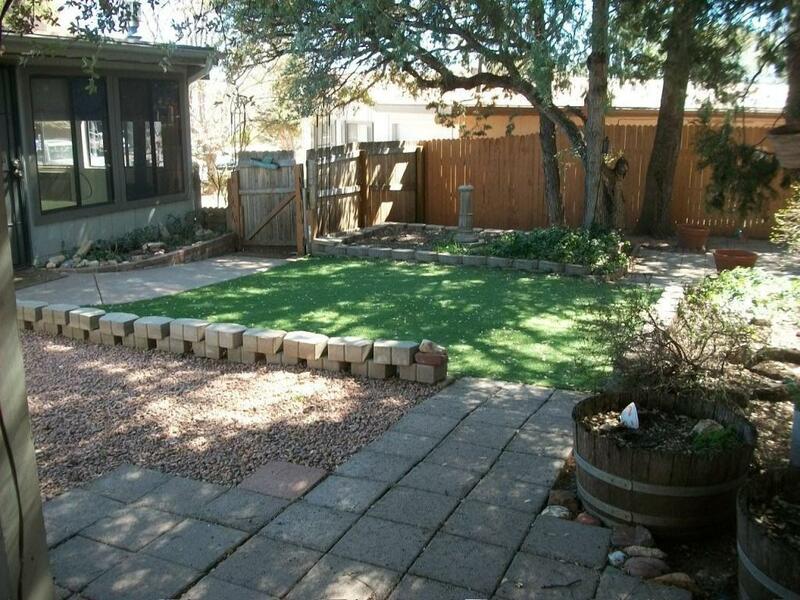 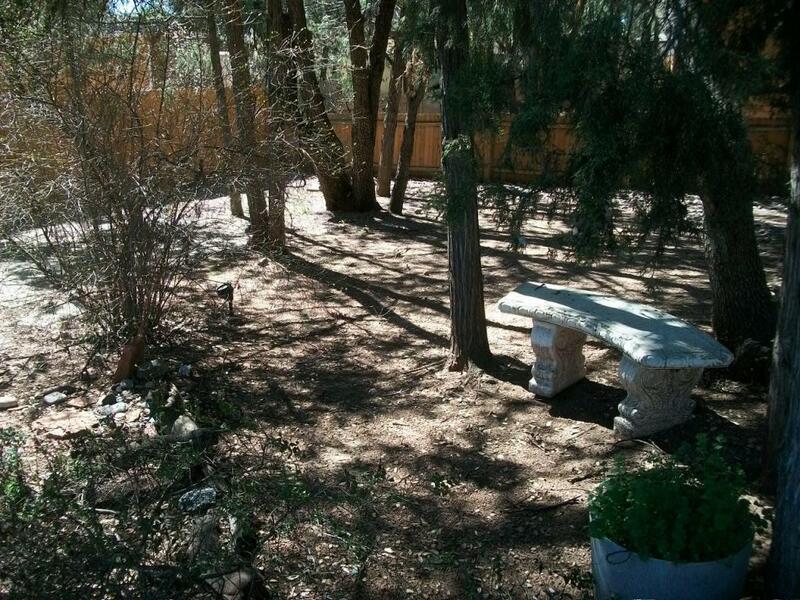 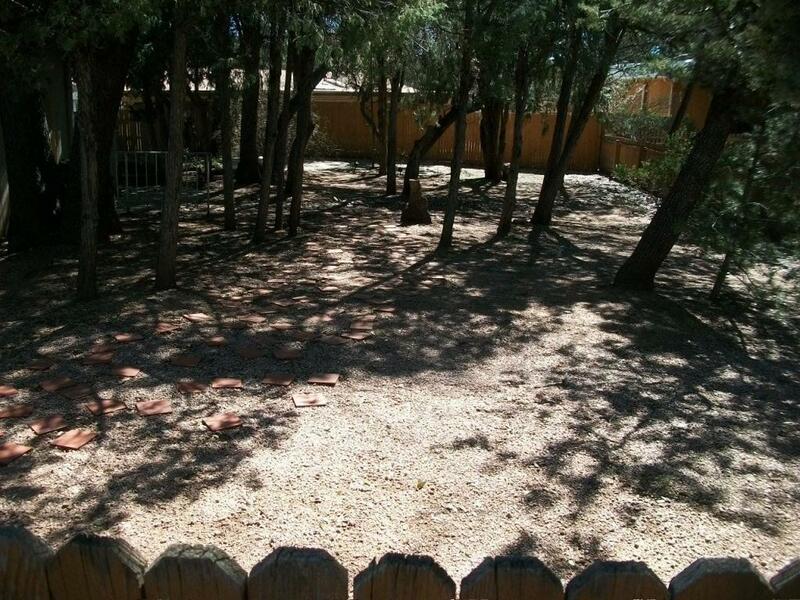 PRIVACY FENCED TREED BACK YARD COMPLETE WITH INVITING GREEN TURF AREA. 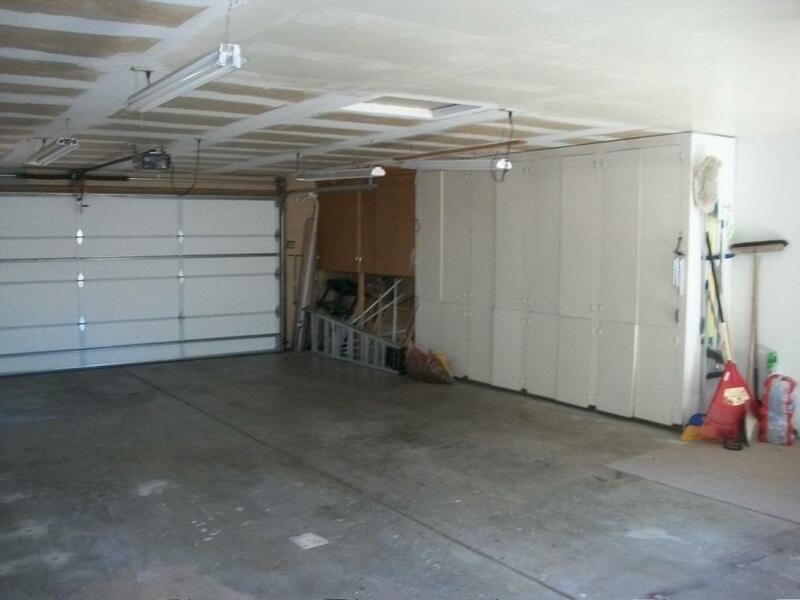 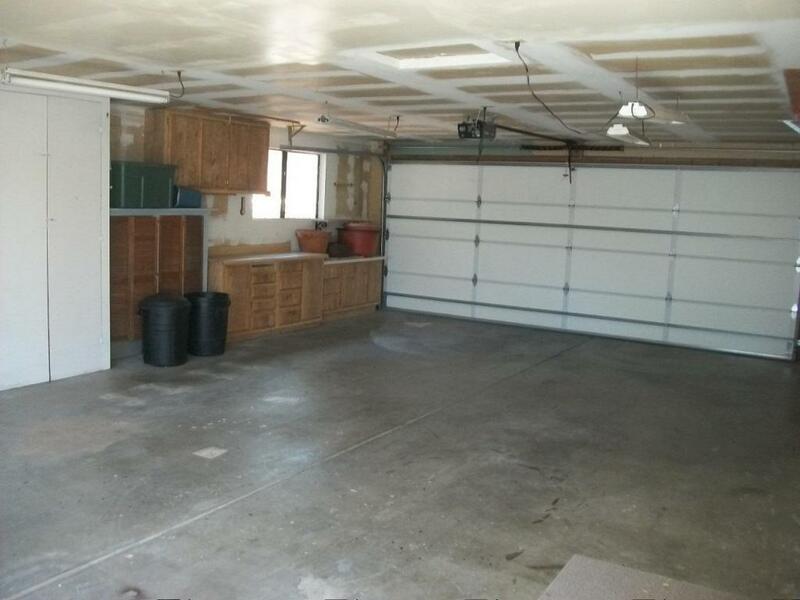 OVERSIZED GARAGE WITH STORAGE CABINETS ON BOTH SIDES AND A WORKBENCH. 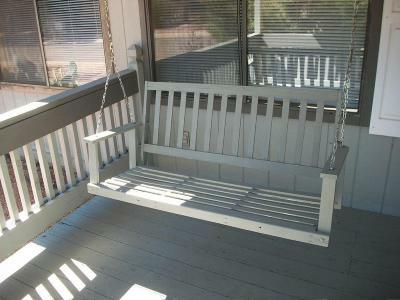 HOME ITSELF HAS WONDERFUL COVERED FRONT PORCH WITH SWING, OPEN GREAT ROOM EFFECT WITH LIVING, DINING AND KITCHEN ALL ONE OPEN SPACE. 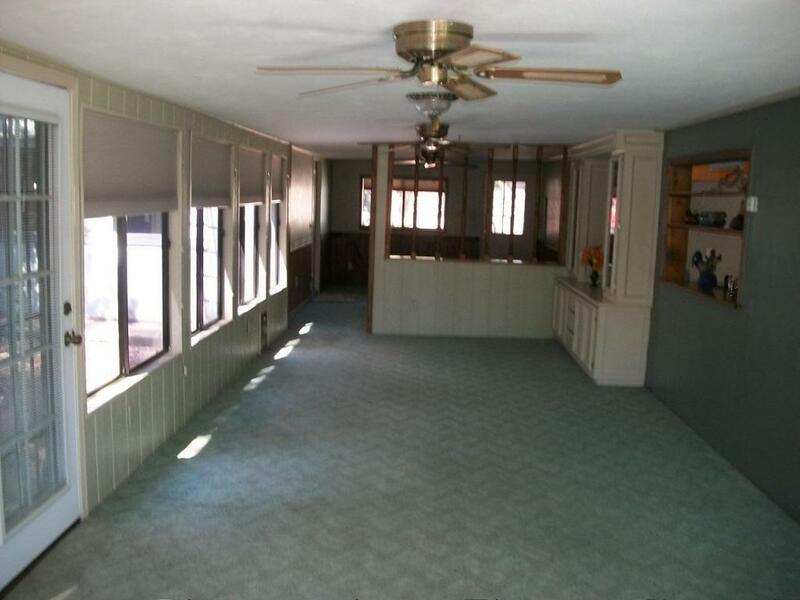 ANOTHER HUGE AREA AS A SUNROOM RUNS ALMOST THE ENTIRE LENGTH OF THE HOME ADDING EXTRA SQUARE FOOTAGE. 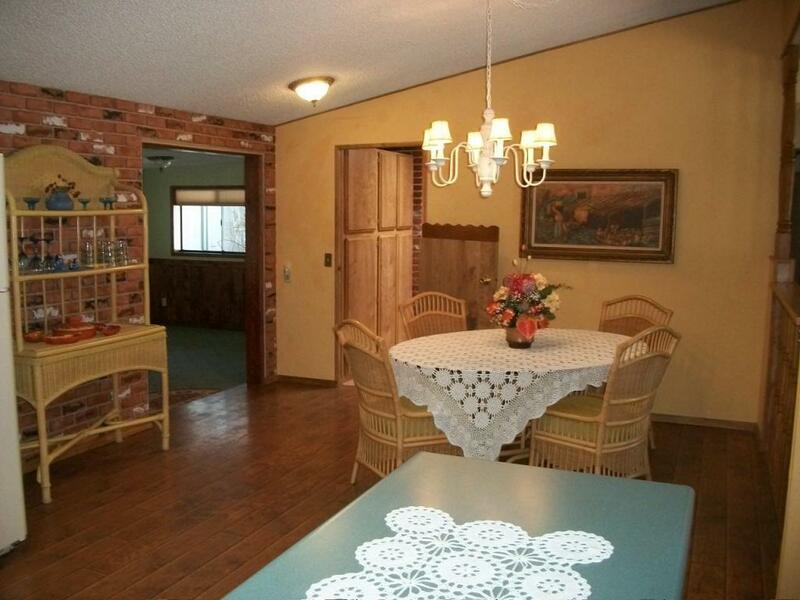 THE LAUNDRY ROOM ENTRANCE IS OFF THE DINING AREA AND ALSO ENTERS THE MAIN BATH ON ONE SIDE. 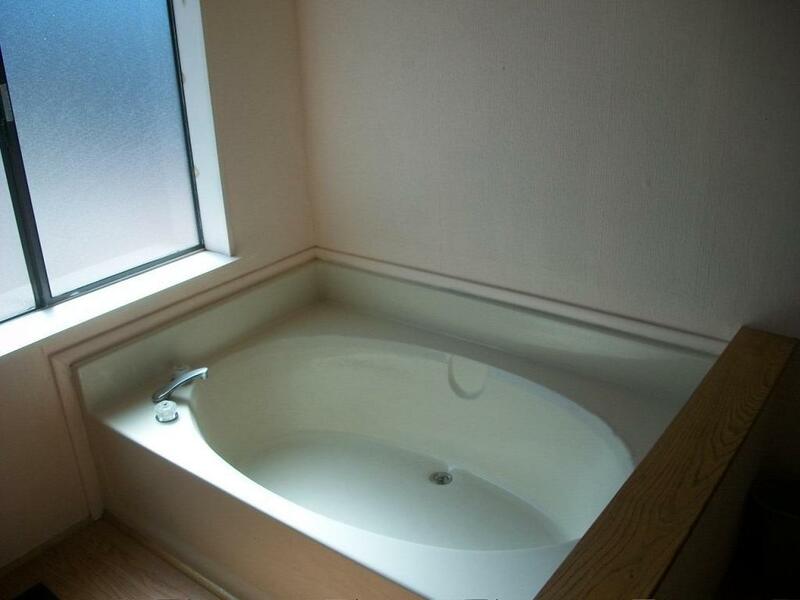 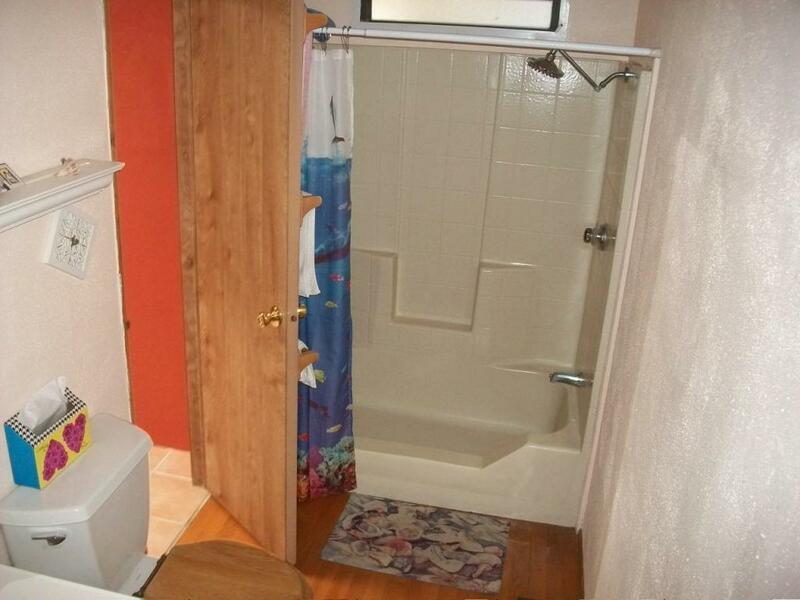 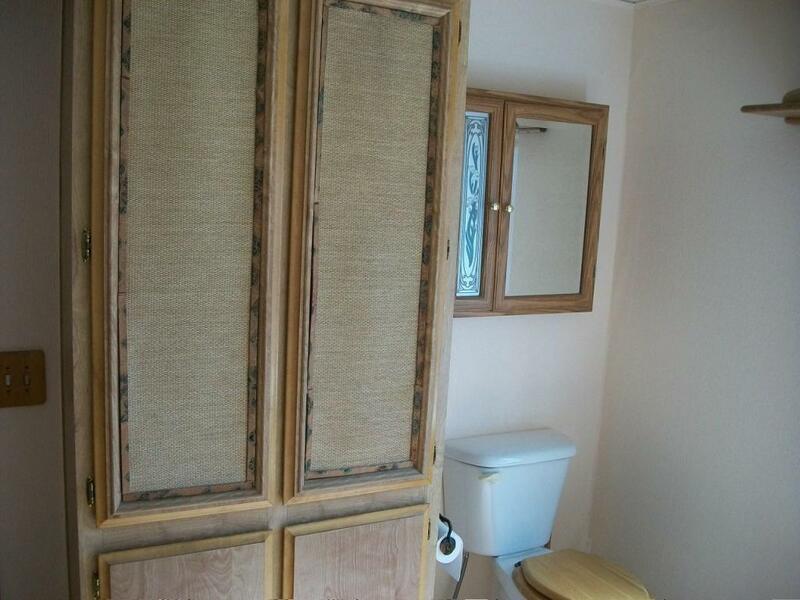 THE OTHER DOOR TO THE MAIN BATH OPENS TO THE HALLWAY WHERE THE SMALLER BEDROOMS ARE LOCATED. 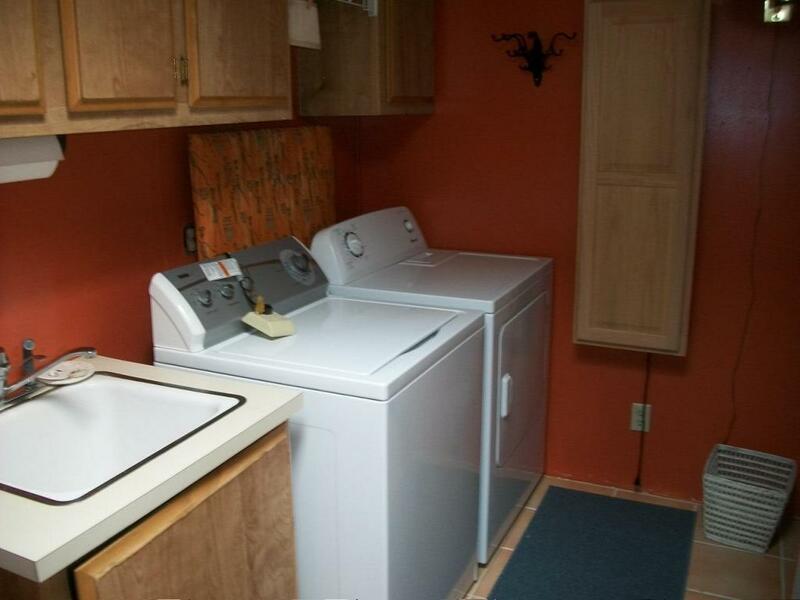 THESE FOLKS HAVE NEVER USED THE DISHWASHER OR AIR CONDITIONER, SO DO NOT KNOW THEIR WORKING ORDER. 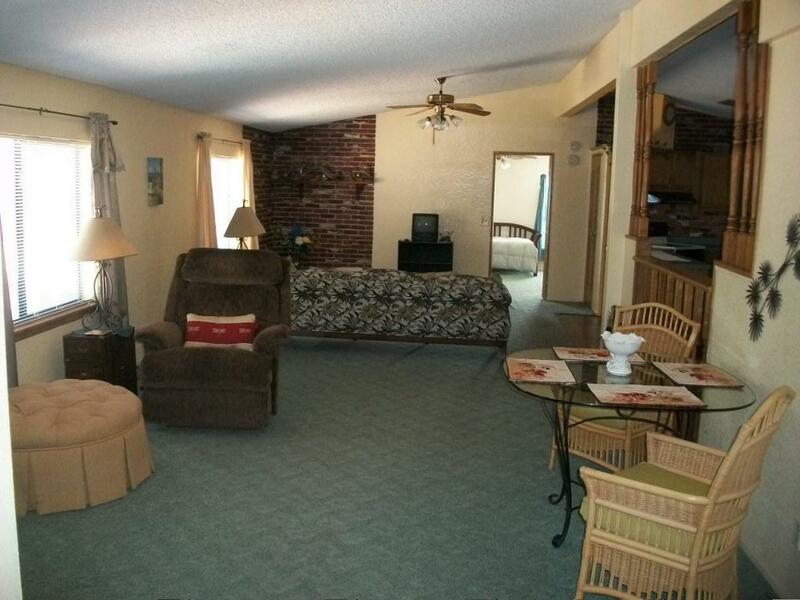 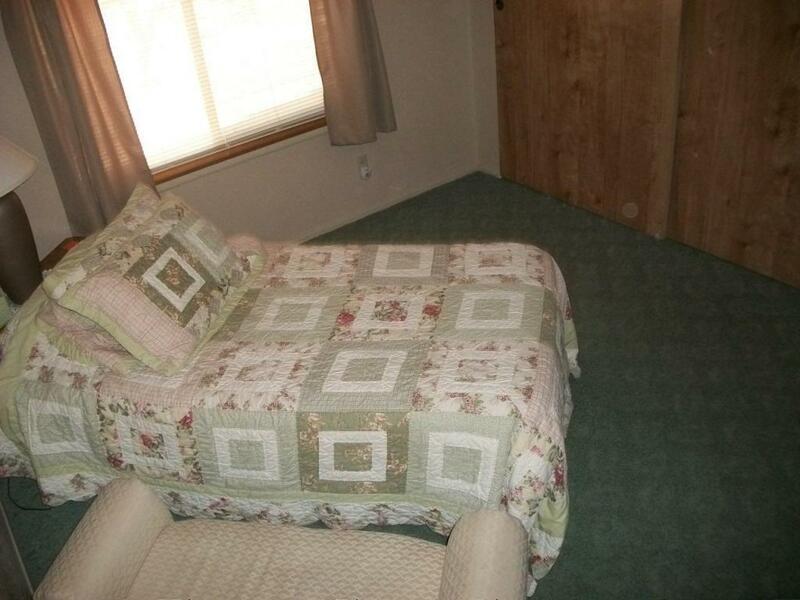 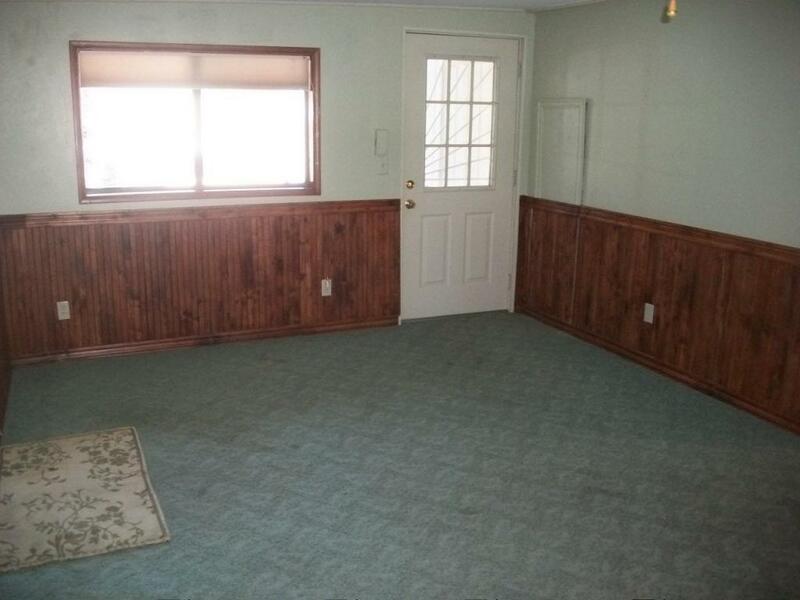 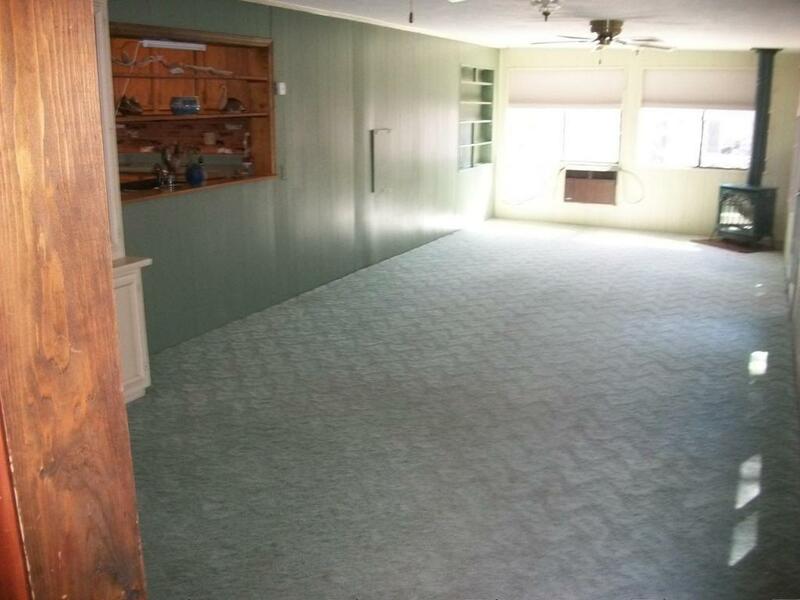 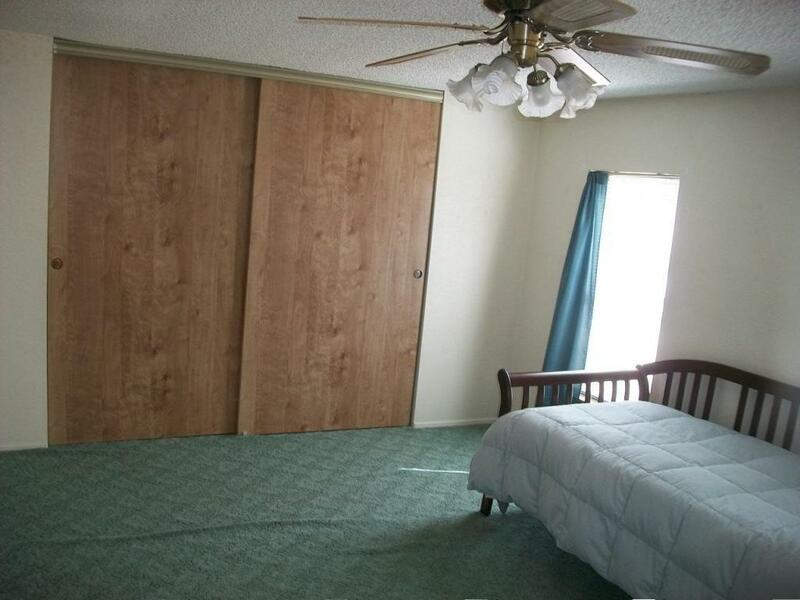 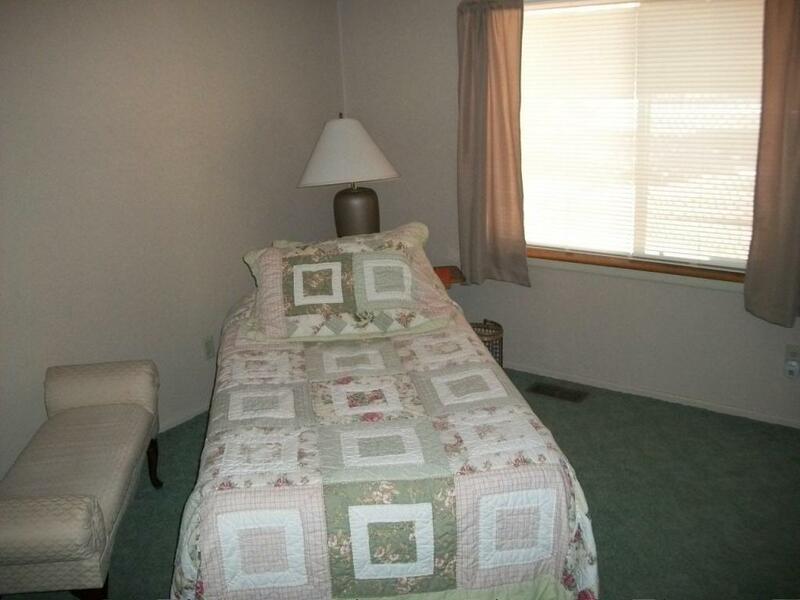 THE CURTAINS AND THEIR RODS IN THE LIVING ROOM DO NOT CONVEY.